You see an interesting dynamic on some hockey teams where the team relies on their top players almost exclusively. When these star athletes are in the lineup, team confidence is high. But when these star players are not available for games, the team’s confidence takes a nosedive. 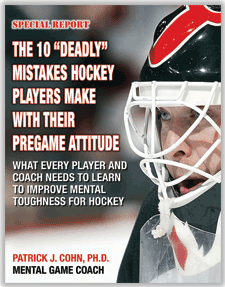 Think of a time when your hockey team entered a game without its full arsenal of weapons… What ran through your mind? Did you think you still had a chance to win the game? Truth be told, the greatest weapon a team can arm itself with is not a certain player, but a positive mindset. This collective tough mentality not only helps teams to rise above adversity but draws the members of the team closer together. Boston University was faced with a situation where six of their top ten scorers heading into the Union College game were playing for gold in the 2017 World Junior Championships. Not only was BU short-handed but they were playing a nationally-ranked opponent. It would have been easy for BU to allow negativity to permeate through their mindset. BU coach David Quinn has been preparing his team, training their mindset from the beginning of the season. What exactly is this commitment? It is the commitment to prepare… The commitment to believe in the team’s ability to rise above circumstances… And the commitment to never give up. Commitment is like a contract within the team that states each player will do whatever it takes for the team to succeed. 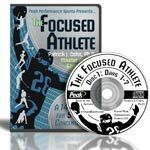 If you are committed to success, then you are never truly out of a game until the final whistle… That is the true essence of mental toughness. BU’s commitment to success paid off big time, as they pulled out a 5-4 overtime victory over Union. 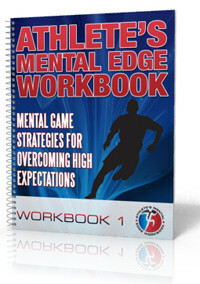 But in reality, it is mental toughness that creates the belief that allows athletes to put forth the effort. 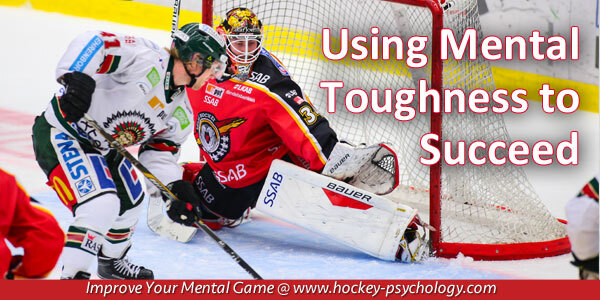 Without mental toughness, you have no chance to succeed as a team. When you compete, you always need to be ready. Circumstances can change in an instant so you need to be prepared for when you are called to step up. 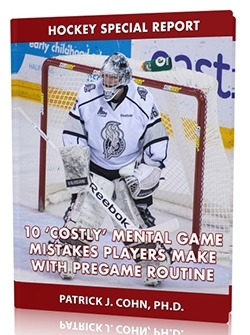 Anticipate any scenario you will face in games, such as being shorthanded. How will you respond when faced with each scenario? If you know how to respond in advance, you’ll be ready when it happen.